Ownership of a Portuguese trademark is acquired by registration with the National Institute of Industrial Property (INPI). 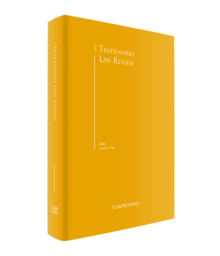 The trademark owner has specific means to contest the infringement of its rights: he or she can obtain injunctions (preliminary or on the merits, or both) and other civil remedies, bring criminal charges or apply for customs procedures. The most significant piece of Portuguese legislation regarding the protection of industrial property is the Industrial Property Code (IPC), approved by Decree-Law No. 36/2003, of 5 March 2003, as amended. As a Member State of the European Union (EU), EU legislation is applicable in Portugal on the general terms provided for EU legal instruments, notably the Regulation on the European Trade Marks and the Regulation on Community Designs. The administrative body responsible for overseeing the protection of trademark rights in Portugal is INPI. This entity has competence to assess and decide on the registration of trademark rights, including opposition proceedings related to any national trademark registration. It is also responsible for publishing the Industrial Property Bulletin (the IP Bulletin), which contains the main relevant facts relating to intellectual property (IP) rights. INPI also maintains an online freely accessible database, which contains information about all Portugal-related registered trademarks. The National Legal Entities Registry (RNPC) oversees the registration of company names. Finally, the management, maintenance and registration of domains under the top-level domain (TLD) '.pt' (corresponding to Portugal) is the responsibility of the private non-profit Association DNS.PT, which succeeded the Foundation for National Scientific Computation. In Portugal, registration is the key way of obtaining protection and exclusivity rights in relation to a trademark (i.e., the registration is the legal condition for trademark protection) and as a general rule the first-to-file principle applies. Registration is obtained following an administrative procedure involving both INPI and any interested parties, and which concludes with the decision to grant or refuse the trademark registration. Upon submission of the trademark application and publication of the notice of application, registrability is examined on absolute grounds, which relate to the public interest (e.g., protection of consumers), and on relative grounds (both ex officio and based on oppositions filed by third parties). According to the applicable legal provisions of the IPC, a trademark may consist of a sign or set of signs that can be represented graphically, namely words (including the names of persons), drawings, letters, numbers, sounds and videos (motion mark), the form of a product or its packaging, provided that these adequately distinguish the products and services of one company from those of others; this is subject to a case-by-case analysis by INPI, according to an established practice and internal guidelines. A trademark may also consist of advertising phrases for the relevant products or services, regardless of the protection conferred upon them by copyright. For the sake of distinctiveness and in general terms, trademark protection cannot be conferred on signs that exclusively consist of the form imposed by the nature of the product itself or the form of the product necessary to obtain a technical result, nor to signs that are exclusively made up of indications that may serve in commerce to designate the type, quality or other inherent characteristics of the product or the service. Moreover, trademarks that exclusively consist of signs or indications that have become common use in modern-day language or in the habitual and constant habits of commerce are also refused. As of the date of the applicable grant, a trademark registration has a duration of 10 years and may be indefinitely renewed for identical periods. During this period, the owner may use the words 'Registered Trademark', the initials of those words ('RT') or simply the circled 'R' symbol (®). Collective trademarks, which may be defined as either association trademarks or certification trademarks, may only be registered by legal persons who, for instance, supervise certain economic activities, and who intend to distinguish the products of these activities. Certification trademarks are used for products or services subject to the control of a legal person who owns the mark and determines the corresponding standards for the associated products and services, whereas an association trademark is a specific sign belonging to an association of natural or legal persons, who use the association trademark, or intend to use it, for products or services specifically related to the association's purpose. Under Portuguese law, no protection is available for unregistered trademarks. Nevertheless, whoever uses an unregistered trademark for a period of six months, and proves that use, has the right of priority, during that grace period, to register the trademark, and can oppose other applications made by third parties. Trademark applications that constitute a reproduction or imitation of certain unregistered external features, namely packaging or a label, including the form, colouring and layout of wording, and other elements proven to be have been used previously by others in their registered trademarks should be refused. However, parties with an interest in the refusal of a trademark under this rule may only intervene in the application process once they themselves have applied for registration of the original trademark with the relevant external features. Moreover, registration is also refused for a trademark that, as a whole or in an essential part, is a reproduction, imitation or translation of another well-known trademark in Portugal, if it is applied to identical or similar products or services and may be mistaken for the other trademark. Finally, registration will also be refused if a trademark (even one designed for products or services that are not identical or related) is an interpretation of, or is identical or similar to, an earlier trademark that enjoys a prestigious reputation in Portugal or the European Union (if it is registered in the European Union), and whenever use of the later trademark seeks to take undue advantage of the distinctive character or reputation of an earlier trademark or may prejudice it. For this purpose, parties seeking the refusal of trademarks also have to apply for registration of their own trademark to be able to intervene in the procedure, whereby it is understood that, in such cases, registration of the trademark that generated the original reputation for the relevant products or services must also be applied for. Logotypes, which have legally replaced both trade names and insignias since the revision of the IPC in 2003, have been decreasing in importance, as demonstrated by the progressive reduction of the number of registrations of these distinctive signs. A logotype may consist of a sign or number of signs that can be represented graphically, namely by nominative or figurative elements or a combination of both, and it must be appropriate for distinguishing an entity that provides services or commercialises products. It can be used, for instance, in places of business, advertising, forms and correspondence. The same sign, when it serves to distinguish one and the same entity, may only be the object of one logotype registration. However, the same entity may be distinguished through more than one logotype registration. Most of the procedural formalities applicable to the registration of trademarks also apply to the registration of logotypes, such as publication of any filed application in the IP Bulletin, which in turn triggers the two-month deadline for submission of oppositions by any interested parties. According to the relevant provisions of the Portuguese Companies Act, the characteristic elements of a company name may not suggest a different activity than the one effectively pursued by the company or a different legal type of company. Moreover, a company's name cannot be identical or confusingly similar to any other registered company's name. Also, company names cannot be exclusively composed of geographical indications, designations of origin or common-use words that identify or relate to the corporate activity, products or technique, or contain any words considered immoral or offensive. Company names are registered with RNPC and there is no public database of company names (as there is for trademarks), thus the search of prior company names is performed ex officio by RNPC and reflected in a certificate issued by that authority, upon request by an interested party. The prior registration of trademarks, logotypes, designations of origin and geographical indications are grounds for refusal or annulment of company names that may be confused with the prior registrations. Even though trade names are protected in Portugal under Article 8 of the Paris Convention, which may be invoked for the purpose of using a certain trade name, these do not constitute a legal category of IP rights per se within the national legal framework. Under Portuguese law, a geographical indication is understood to mean the name of a region or a specific place that serves to designate or identify a product originating from that region (or, exceptionally, country) or whose reputation, specific quality or characteristics can be attributed to that geographical origin and whose production or development are carried out within that demarcated geographical area. Designations of origin are defined as the name of a region, a specific place or, in exceptional cases, of a country that serves to designate or identify a product originating from that region, or whose quality or characteristics are derived, essentially or exclusively, from the geographical environment, including the natural and human factors that compose it, and whose production, processing and development are carried out within that demarcated geographical area. The importance of designations of origin – notably in the wine sector (always of interest in Portugal) – is reflected in the relevant number of disputes between trademarks and prestigious denominations of origin (Port (or Porto) wine being the most eloquent example). Trademark applicants, who often choose signs composed, at least partially, of words such as 'Porto', or 'Madeira', may thus raise concerns of infringement in the owners of these denominations of origin, even when the trademarks do not intend to distinguish wine products. It is commonly accepted that the trademark owner's right of property and exclusivity includes the right to use that sign online and as a domain name, as well as the right to prevent others from doing so. 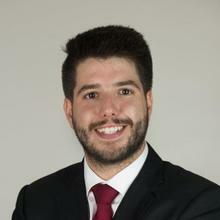 The Portuguese regulations regarding this matter include rules that intend to guarantee the respect of prior rights with a view to preventing the abusive registration of domain names in the .pt domain, in particular prohibiting names that may give rise to confusion or undue association as to their ownership. In this sense, the Regulation on the Registration of .pt Domain Names states that a domain name cannot correspond to words or expressions that are contrary to the law and public order but also cannot correspond to any internet TLD that exists or is in the process of being created, or otherwise to names that may give rise to confusion regarding their ownership. National trademark applications may be filed, either through the postal service or online by: (1) the owner of the right, if established or resident in Portugal, or a person who is established or resident in Portugal and is duly empowered for the purpose; (2) the owner of the right, if established or domiciled in a foreign country, provided that the owner can provide either a Portuguese address or email address or fax number; (3) an Official Industrial Property Agent (AOPI); and (4) a duly appointed lawyer or solicitor. All representatives require a power of attorney before filing, except AOPIs, who are accredited by INPI. The applicant has to provide, inter alia, a graphical representation of the trademark and must enumerate the goods and services covered by it, grouped in accordance with the categories in the Nice Classification and defined in precise terms. The charges for a national trademark application at INPI, for one class of goods or services, are €252.33 for a paper-based application, or €126.57 for an online application. There is an additional cost of €31.,99, per class if the applicant chooses to apply for more than one class (€ 63.96 in the case of a paper-based application). Renewal fees are the same as filing fees. The renewal of Portuguese trademarks must be requested within the six-month period before the expiry of validity, and is subject to the payment of a renewal fee. However, the request for renewal can also be made following expiry of validity, within six months of the expiry date, but an additional fee must be paid in that case. According to the IPC, once a trademark is granted, it enjoys a presumption of validity, along with all other industrial property rights. The protection of earlier rights is observed by INPI when examining an application. According to the relevant legal provisions, registration is refused when a trademark consists of a reproduction or imitation of all or part of a trademark previously registered for identical or similar products or services that may mislead or confuse the consumer or present a risk of association with the previously registered trademark (the same applies to logotypes and infringement of other IP rights, mutatis mutandis). Further grounds of refusal of a trademark are the use of names, portraits or any other expressions without the authorisation of the persons they relate to, or their heirs or relatives or, if authorisation is obtained, if it causes disrespect to those persons; and the recognition that the applicant's intent is one of unfair competition, or that unfair competition is a possible outcome regardless of the applicant's intention. When cited in opposition proceedings, further grounds of refusal may be the reproduction or imitation of a third party's company name and other distinctive signs, or merely a characteristic part thereof, if it is likely to mislead or confuse the consumer, and also the infringement of copyrights and use of references to a specific real estate property that does not belong to the applicant. As mentioned above, when a national trademark application is filed, the fact is published in the national IP Bulletin, a daily publication that contains, inter alia, information about trademark applications (including details about the applicant) and their grant or refusal. An interested party may submit an opposition to an application within two months (which can be extended) of publication of the application in the IP Bulletin. This is subject to the payment of a fee of €53.30 (online) or €106.61 (paper). Applicants have the right to reply to an opposition within two months of notification of the opposition. Either ex officio or on request by the interested party and with the acquiescence of the opposing party, the study of the application may be suspended for no longer than six months. After these periods of opposition and reply, the application is subject to examination and both parties' allegations are considered in the decision issued by INPI, usually within a period of about four to six months. In contrast to the European Union Intellectual Property Office, INPI examines not only absolute grounds for refusal, but also relative grounds based on searches for previous potentially conflicting trademarks. In Portugal, the revocation of a registered trademark may only result from a judicial decision. Any interested party (or the Public Prosecution Service) is entitled to bring an action with this purpose before the Portuguese Intellectual Property Court (the IP Court), which has jurisdiction to assess and decide on all invalidity proceedings against a trademark, as well as cases of trademark infringement, and unfair competition. The proceedings follow the rules of common civil procedure. When an action of annulment of a trademark is filed, this is recorded by the INPI and therefore becomes public knowledge. The INPI decision granting or refusing a trademark may be appealed before the IP Court within two months of publication of the decision in the IP Bulletin, either by the applicant, those that filed an opposition or anyone directly harmed by the decision. After the appeal is received by the Court, the opposing party, if any, is summoned to respond within 30 days, if the opposing party so wishes. INPI is not a party to these proceedings. An appeal against a decision by the IP Court (cf. previous paragraph), or against any IP Court decision in invalidity proceedings, may be appealed before the Court of Appeal, under the general rules of civil procedure. An appeal to the Supreme Court of Justice (third instance) is only possible in special and rare circumstances. Trademarks disputes are typically resolved before the IP Court, a court established in 2012, now with three judges. It hears cases relating to copyright, industrial property, domain names, trade names, company names and unfair competition. Although it should be considered a specialised court, not all the judges are specialised in IP. The decisions of the IP Court can be appealed to the Lisbon Court of Appeal (second instance court) and, in some cases, to the Supreme Court of Justice (final instance court). Besides judicial courts, the parties can agree to submit a dispute to an arbitral tribunal. 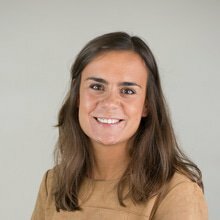 In Portugal, the institutionalised arbitration centre ARBITRARE), created in 2009, has jurisdiction to resolve disputes arising from industrial property rights, .pt domain names, trade names and corporate names. There are no mandatory pretrial formalities that need to be undertaken (such as warning letters). Although they have no procedural effects, it is customary to send out cease-and-desist letters before filing a civil action. The parties can also agree to submit the dispute to mediation prior to the judicial dispute, although this is not common practice. the trademarks are graphically, figuratively, phonetically or in any other way so similar that the consumer can be easily misled or confused, or if it entails a risk of the later trademark being associated with the earlier registered trademark, in such a way that the consumer can only distinguish them after careful examination or comparison. The IPC distinguishes between well-known and famous ('prestigious' in Portuguese law) trademarks, which are both specially protected. According to Portuguese case law and doctrine, only a significant difference between contested trademarks could preclude an imitation judgment for well-known trademarks. For famous or prestigious trademarks, the goods and services covered by the trademark do not have to be similar or identical for infringement to be recognised. Civil actions concerning company names must be filed with the IP Court. In these cases, company names can, as distinctive signs, be protected against other similar company names or even other trademarks. Unfair competition can also be grounds for a civil claim (alone or together with a trademark infringement). Any act that contravenes business rules and honest practices should be considered an act of unfair competition. The IPC allows for preliminary injunctions (PI) to be granted on the basis of the threat or actual infringement of any industrial property rights. According to the case law, if actual infringement is already being committed, the applicant only has to demonstrate the ownership of a right and that it is being infringed (irreparable harm only needs to be proven if the PI is requested on the basis of the threat of infringement). If the PI turns out to be unjustified, the applicant may be liable for damages. Civil main action follows the general regime provided for in the Portuguese Civil Procedural Code (CPC). It includes three written pleadings: the initial claim, the defence and, whenever a counterclaim is formulated by the defendant in the defence, a reply. However, the courts have, under the general right of a prior hearing, been accepting a reply by the claimant to the objections raised by the defendant in its defence. This reply may be admitted in writing, to be submitted within 10 days (which corresponds to the general deadline prescribed in the CPC), or orally during the preliminary hearing or prior to the final hearing. The same rule will apply if the claimant raises an objection to the counterclaim formulated by the defendant in its reply, whereby the court may admit the submission by the defendant of its counter-reply to the reply filed by the claimant, on the same terms as those outlined above. The parties must indicate, in the initial claim and in the defence, the types of evidence intended to be used during the proceedings (the 'probationary application'). Despite this apparently tight timeline for submission of types of evidence, it is possible to modify or include new witnesses until the twentieth day prior to the final hearing date (with the counterparty allowed to do the same) and, should the court decide to schedule a preliminary hearing, it is also possible to modify the entire probationary application during this preliminary hearing. The CPC foresees the following types of evidence: the testimony (by means of the declaration by the parties or witnesses in the presence of the court), documentary evidence, technical expertise and judicial inspection. This phase may last up to four months, should all the pleadings identified above be presented. The defendant is usually served process for the claim within one or two weeks of the submission of the initial claim; the deadline to file a defence can vary between 30, 35, 45 and 60 days (depending on whether the defendant's address is in the same district as the court or, ultimately, outside Portugal); the claimant will have a 30-day deadline to reply to the counterclaim, or a 10-day deadline to submit an application regarding the objections raised in the defence (subject to the procedural constraints identified above). The hearing phase may be divided into two different periods: the preliminary hearing and the final hearing. The preliminary hearing, which is not mandatory and in some cases may even be omitted, mainly serves the purpose of conciliating the parties or preparing for the hearing. During the final hearing, which is practically impossible to postpone and is always recorded, the court, presided over by a single judge, hears the testimonies of both the parties and the witnesses, and the legal counsels during their final oral arguments. The decision should then be rendered within 30 days of the conclusion of the hearing. Depending on the length and the technical complexity of the pleadings, on the amount of evidence submitted and, finally, on the amount of cases pending before the IP Court at that time, the hearing phase may last up to seven months. The decision of the IP Court may, in principle, be subject to appeal before the Lisbon Court of Appeal, which as a rule will have no suspensive effect. The appellant has to file the appeal within 30 days of the notification of the decision (or 40 if the record of the hearing is reappraised) and the respondent is granted another 30 or 40-day period to submit its counter-appeal arguments, with the option to extend the subject of the appeal. The respondent may also decide to submit a cross-appeal, which must be filed within the 30-day period for the presentation of counter-appeal arguments. The Lisbon Court of Appeal, composed of a panel of three judges, has some powers to modify the decision on the facts. The Lisbon Court of Appeal is currently delivering decisions in around four months. An appeal to the Supreme Court of Justice is possible, although the requirements are stricter and the subject of the appeal is limited to legal matters and interpretations. The court fees may vary depending on the value fixed to the claim and the complexity of the matter (the degree of complexity is assessed by the court at the end of the proceedings), but they can amount to around €50,000. The remedies set out in the IPC are mostly in line with Directive 2004/48/EC on the enforcement of intellectual property rights. Accordingly, as well as injunctions (preliminary or otherwise, and those associated with a penalty payment in cases of non-compliance) and orders for compensation for damage and loss, the court may order three further types of measure: (1) recall, (2) removal from the channels of commerce, or (3) destruction of the goods that infringe the industrial property rights. When applying these remedies, the judge has to consider the interests of the parties involved, the interests of third parties and, in particular, those of consumers. The Court's decision may also include inhibitory measures, notably a temporary prohibition to perform certain professional activities, or to participate in fairs or markets, and a temporary or definitive closure of the business. Some specific criminal procedures and misdemeanours are also set out in the IPC. The following are considered criminal offences: the counterfeiting, copying and illegal use of a trademark; the marketing, circulation or promotion of counterfeit products when the infringer is aware of the situation; the violation or illegal use of designations of origin or geographical indications; the application for, the acquisition of, or the maintenance in validity of the registration of a trademark, name, insignia or logotype that is a reproduction or imitation of a trademark or commercial name belonging to a national of any Member State of the EU, on the applicant or registrant's own behalf or on behalf of a third party, regardless of whether the applicant or registrant has an earlier registered trademark in Portugal, and with the proven purpose of affecting the assets of, and consequently creating a loss for, the affected party, or from it obtaining an illegitimate economic advantage. These crimes are punishable with imprisonment for up to three years or a fine of €50 up to €180,000. Criminal procedure demands that the injured party lodge a complaint (within six months of the date when the crime was committed). The right to lodge a criminal complaint ceases if a civil claim based on the same facts as the prospective criminal complaint has been brought previously. Criminal procedures for infringement of industrial property rights are not common (the most common being in relation to counterfeiting). Regarding misdemeanours, fines of €3,000 up to €30,000 (in the case of legal persons) and of €750 up to €7,500 (in the case of natural persons) are applicable in cases of unfair competition, violation of names and insignias, violation of logotypes, use of prohibited trademarks, misuse of names, insignias or logotypes, and preparatory acts regarding the criminal offences set out in the IPC. Customs procedures follow Regulation (EU) No. 608/2013 of the European Parliament and of the Council concerning customs enforcement of intellectual property rights. The Portuguese customs authority tends to be quite efficient in relation to trademarks and designs. Although the ruling of the Supreme Court of Justice in Case No. 143/16.9YHLSB.L1.S1, dated 5 June 2018, does not consider the use of an unregistered trademark to be juridically irrelevant, it does reinforce the position that, in Portugal, the mere use of an unregistered trademark does not grant its holder an exclusive right. 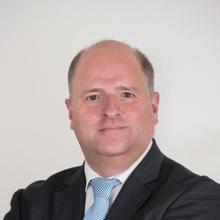 Furthermore, the Court stated that it should be borne in mind that unfair competition is complementary to the protection of exclusive industrial property rights and that it should be seen as a secondary defence and only provide a ground for revocation of a registered trademark in serious cases. The approval of a new Industrial Property Code is expected this year, and with it significant changes (e.g., in the legal provisions related to the protection and enforcement of IP rights). In relation to trademarks, the new law will transpose to the national jurisdiction Directive (EU) 2015/2436 of the European Parliament and of the Council of 16 December 2015 to approximate the laws of the Member States relating to trademarks. The Portuguese IP Court certainly needs improvements, notably in the number of judges allocated to the Court, their specialisation in IP law and the logistical means for a better and more expeditious delivery of justice. There has been a significant increase of infringement of IP rights on the internet and accordingly the IP Court has dealt more with these cases. Also, social networks have contributed to the increase in the number of cases of infringement of rights; however, these are related more to personality rights and privacy. 1 António Andrade is a partner, Sara Nazaré is a senior associate and João Carlos Assunção is an associate at Vieira de Almeida. 2 Also known as the TRIPS Agreement.